Traditional teaching is boring, which is why many children and students don’t actually like going to schools and sitting and listening in class; their attention wanders, and can we really blame them. We have been there, and unless you are interested in the topic, the class can get really boring. In order to combat this, people often sought to teach using real life examples or through stories. This method of teaching is known as didactic. 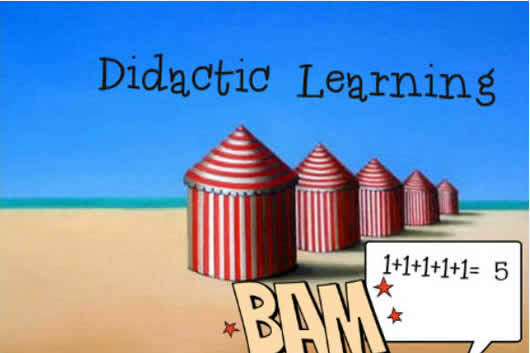 Didactic is a term that describes anything that aims to teach. Any object that is intended to teach, to be educational, and to be informative is considered to be didactic. While, the lesson expected to be taught can be anything, it is often moral in nature; think of Aesop’s fables, a story with a moral. However, today the term is often used negatively to describe someone or something that aims to teach something as proper or moral behavior in a way that is annoying or unwanted. In this definition of the term, the thing described is usually over the top and often aims to pass on religious messages, or societal norms that can be restrictive. Think of an old religious grandparent lecturing you, and telling you about how things were in their time.